We have created some fantastic guided meditations for you. They start with simple guided meditations aimed to teach you how to use breathing in meditation and then align yourself with source energy and ground yourself. We then meet our spirit guides for the first time having completely protected ourselves before meeting them. There is a guided meditation to help you make a big decision, deal with stress and cope with depression. The links are below. Please let us know what you think of them below or on the relevant pages . We hope you find them helpful. All of the videos are free and with no adverts. New guided meditations are being added all the time so keep checking back. We have compiled 7 of the guided meditations on an album which is available for download on to your MP3 player, smart phone or tablet. The album is called Meditation: Guided Meditations Volume 1. 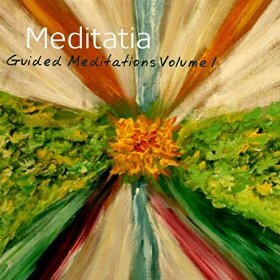 It is the first of many albums to be released containing the growing library of guided meditations. You can download individual tracks or all 7 tracks. There is a special 30 minute sleep meditation which is only available for download with the album. 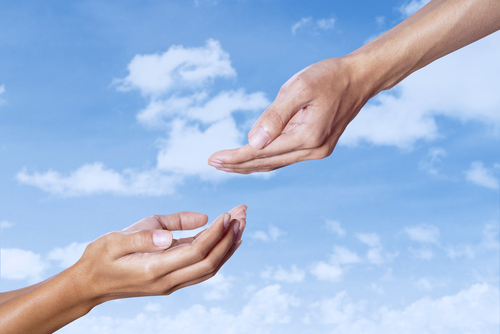 What is a guided spiritual meditation? A guided spiritual meditation is where you listen to a person either in person or on a recording or video who guides you on a meditation. They can take place in groups or individually. The person being guided is usually in a quiet comfortable place when receiving the meditation. What are the advantages of guided spiritual meditations? A lot of people find meditation very difficult on their own especially if they are just starting out. A good guided spiritual meditation can guide people on breathing correctly, make sure they are properly grounded and protected from negative energies and then take that person on a journey. Most guided spiritual meditations have a theme such as clearing chakras, meeting spirit guides, bringing abundance into your life, finding your life purpose, making a decision, dealing with stress, depression or illness. The range is vast. Should they have music on them? There is no hard and fast rule. The majority do have gentle background music on them as this aids the relaxation of the meditator and blocks out outside noise and enables a more complete submersion into the meditative state but this is not essential and a lot of people find music distracting and would prefer to focus on the voice of the guide. Is there a typical length of guided meditation? A lot depends on the comfort and stamina of the person meditating. A person new to meditating might think that 10 minutes would be their limit but a lot last as long as 30 minutes or longer. The concentration can waiver after a long period of time and interruptions might become more likely if a meditation lasted longer than 30 minutes. Having said that, there are no hard and fast rules on this. How important is grounding and protection in guided meditations? When communicating at spirit level, one should always fix your intention prior to meditation that you will be protected at all times and only communicate with the highest and purest of spirits. A lot of guided spiritual meditations do not involve communicating at spirit level and are more about mindfulness and relaxation so protection would not be necessary in these cases. If you spend a lot of time meditating at the spiritual level, it can result in a loss of grounding which can leave one exposed to negative experiences sometimes referred to as Kundalini syndrome which can cause psychological problems or mental issues. So grounding involves making sure that your feet are firmly on the ground and you feel connected with the earth (or Mother Earth or Gaia as some people like to imagine). This ensures that you are not left too much in the spirit world.